After weeks of rumors, out singer-songwriter Adam Lambert confirmed he's no longer on the market. On Wednesday, Lambert posted a picture of himself with model Javi Costa Polo. “LUV U @javicostapolo [heart emoji],” Lambert captioned the photo. 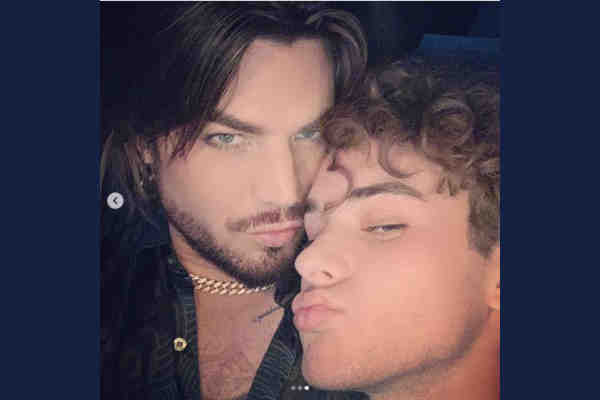 Polo, who attended the Oscars with Lambert, also posted a photo of the couple, adding some lyrics from “If I Had You,” a track from Lambert's debut album For Your Entertainment. “But if I had you, that would be the only thing I'd ever need,” Polo wrote. Last month, Lambert released “Feel Something,” the first single from his fourth studio album.